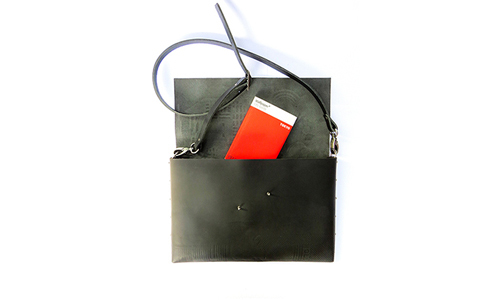 Map-à-porter means wearable map, portable urbanism, or neighborhood “to go”. It is a twist on the French term that describes a ready to wear garment and makes use of two interpretations of “à -porter”: “to wear”, and also “to carry”. Our maps are wearable objects that talk about the contemporary city as seen by architects and inhabitants. Architecture and urbanism are ubiquitous and affect everyone, yet, for many they remain unknown realms outside of the expertise of the individual. The project is born out of our desire to connect the discipline with the public through participatory installations that start a discussion. 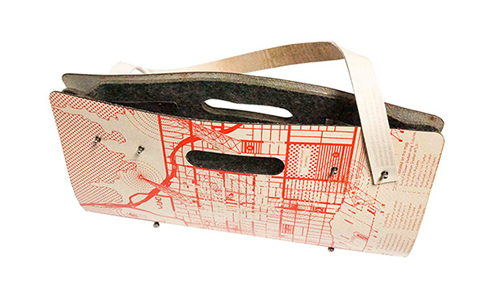 Map-á-Porter means wearable map, portable urbanism, or neighborhood to go. It is a twist on the French term that describes a ready to wear garment and makes use of two interpretations of á-porter: to wear, and also “to carry“. Our maps are wearable objects that talk about the contemporary city as seen by architects and inhabitants. A place in the city is remarkable for the things that happen within its bounds and the way it accommodates people. Our objects represent a moment in time of the life of a city or the neighborhood and provide a durable record of this moment. Both the city and Map-á-porter evolve over time, each following its own laws of change. The map is not simply a decorative pattern, but is fundamental to the concept behind the project. 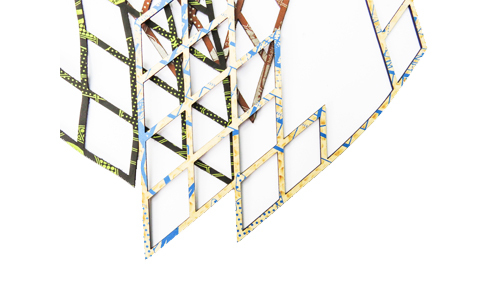 All objects in the series unfold into the original map rectangle without waste. We collect map content through participatory events and workshops, so the graphics reflect personal experiences of participants, not only our point of view. We are continuously expanding our list of neighborhoods offered and re-designing maps to incorporate new stories from users. The result is an ever-expanding series of active functional objects designed to spark conversations about cities and to give graphic form to a collective image of Los Angeles as a lived in and loved place. 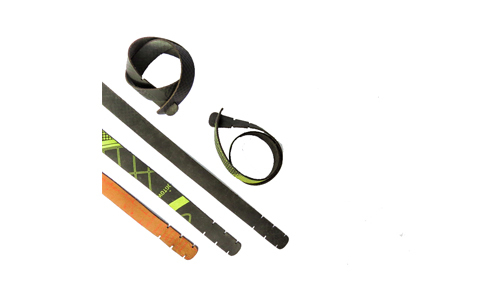 Our wearables are designed and made in their entirety in Los Angeles. Each item features a neighborhood map designed by us at Claret-Cup, whose content is sourced from those familiar with the place. Objects connect with people through their hand-crafted quality. 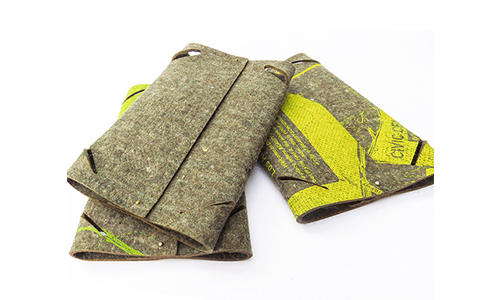 Due to the variety materials we experiment with and the in-house screen-printing process, no two are exactly the same.